The ongoing recall of more than half a billion eggs tainted with salmonella is prompting the Physicians Committee for Responsible Medicine to offer a free booklet containing eggless recipes to worried consumers. 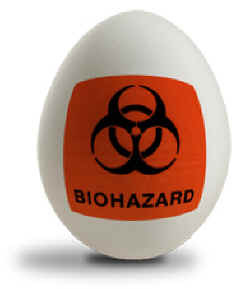 The Centers for Disease Control and Prevention warns that the recalled eggs—which have sickened countless people—might still be in grocery stores, restaurants, and consumers’ homes. The FDA warns that persons infected with salmonella often experience fever, diarrhea, nausea, vomiting, and abdominal pain. The pathogen can cause fatal infections in young children, the elderly, and others with weakened immune systems. There are many other reasons people choose not to use eggs in their diet. More than 60 percent of the calories in eggs are from fat, and a big portion of that fat is saturated. They are also high in cholesterol—about 212 milligrams for an average-sized egg. That’s more cholesterol than is found in a Double Quarter Pounder with Cheese from McDonald’s. PCRM’s Vegetarian Starter Kit offers free eggless recipes. It also has a three-step plan for moving to a healthier diet and is packed with nutrition information and cooking tips. Research has shown that people who eat plant-based diets are slimmer and have less risk of heart disease, some cancers, and diabetes than those who consume animal products. 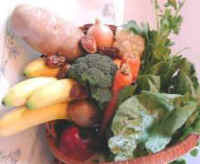 Consumers can request a free copy of the Vegetarian Starter Kit at www.GoVegetarian.org.